The enhanced software package for complete laundry material handling. 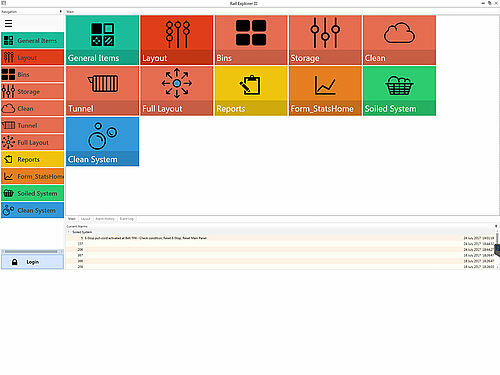 Material handling software programmed to efficiently guide your laundry. Program your laundry to automatically process all your material handling. 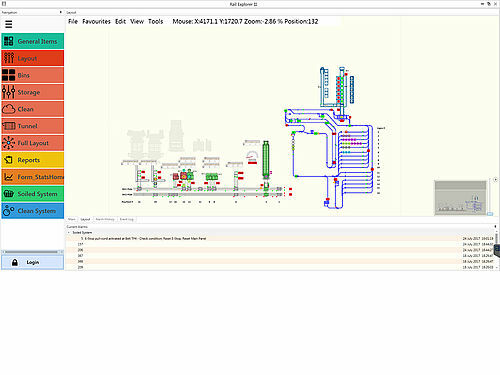 Easily access production reports and system faults for maximum laundry efficiency. Total systematic overview of all laundry material handling from one centralized location. View assigned laundry batches throughout the entire material handling process. Receive notifications of machine status, conveyor movement, and sensor indications. 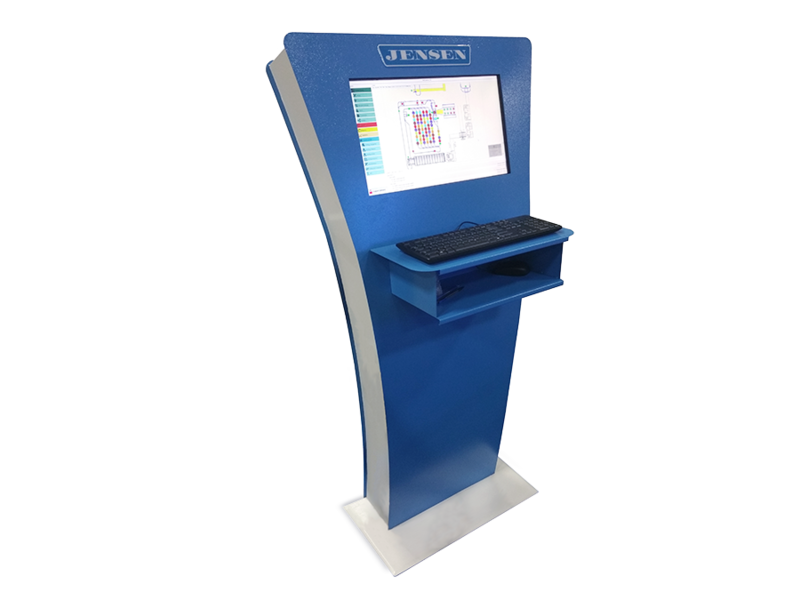 Monitor and optimize individual machines and material location for maximum performance Receive instant notifications of system faults and machine status. Manually alter timing sequences to optimize your laundry. Witness on-the-spot product location (track & trace). Keep up to date with accurate system performance information. Reference Rail Explorer production reports for laundry efficiencies and determine areas in need of optimizing.